When you are looking for that perfect, new replacement door for your home, look no further than Raynor’s Aspen™ Series. 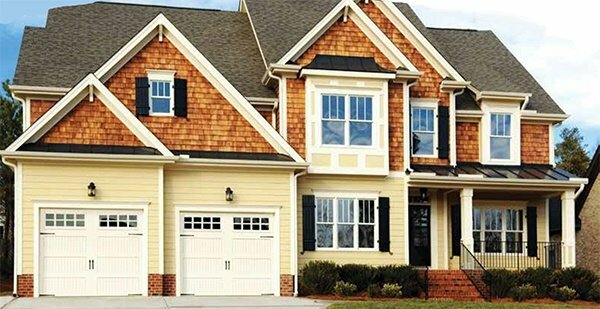 With all the design choices Aspen™ offers, you are sure to find the perfect combination that will enhance your home’s curb appeal and value. The Aspen™ model AP200 is a 2” thick, thermally efficient door, featuring Neufoam™ polyurethane insulation that fills 100% of the section’s interior. Combine this with all the decorative options available, and you have a best-in-class door that just can’t be beat. The Aspen™ model AP138 is a 1⅜” thick door and also features Neufoam™ polyurethane insulation. The AP138 is ideal for moderate climate areas, and offers all of the options available to the AP200.